Thinking about dental implants? We understand that the decision can feel a little overwhelming. But while the implant procedure will take a certain amount of time and effort, life after your implants have healed is remarkably similar to life as usual. Implants are so highly recommended because they allow patients to regain incredibly natural-feeling and -looking teeth, and protect their new smiles for years to come. If you live in Niskayuna, you don’t need to look far for implant treatment. Dr. Robert Scotto is just a brief drive away from your home. Patients across Schenectady County find caring, attentive treatment with Dr. Scotto. His expertise in dental implant placement makes him a valuable tool in your path toward new teeth, and a revitalized smile. While your implants are healing, you will need to take some special precautions. Dr. Scotto’s staff will provide you with detailed instructions and ongoing guidance so that your implants stabilize, and are ultimately successful. This healing period requires a different length of time for different patients, and we will ensure that you are aware of the steps you should take during your own. 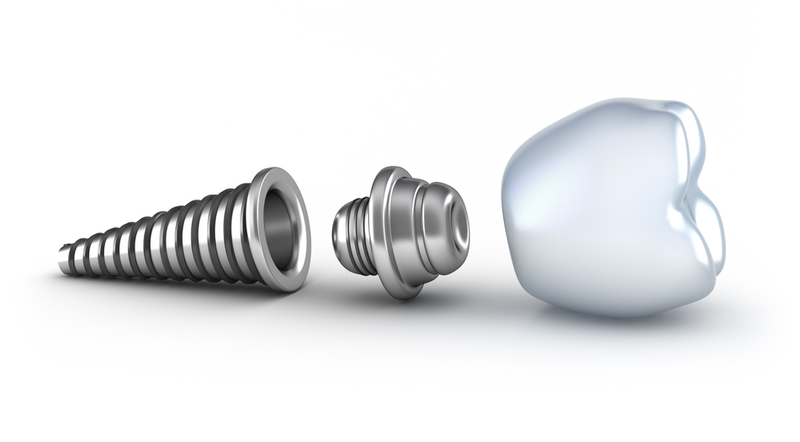 Once the implants have integrated with the jaw bone, they act as a stable part of your jaw. What does this mean, exactly? They’ll look and feel like other tooth roots, and allow restorations to remain firmly in place. You’ll brush and floss your teeth as usual, and go through daily life comfortably. ...are simple to find. If you’ve been thinking about replacing one or more missing teeth, we recommend that you schedule a consultation today. Take action before your jaw bone or surrounding teeth suffer from the tooth loss. Don’t put yourself through the anxiety and uncertainty of a possessing a smile without all its teeth. The path to recovery begins with a phone call - make yours now.